It allows you to Mass Create VMT files easily. You simply need to browse to a folder with .vtf files, and you can generate a .vmt for each of these. Boolean parameters can be added to the tool by editing the .json files. 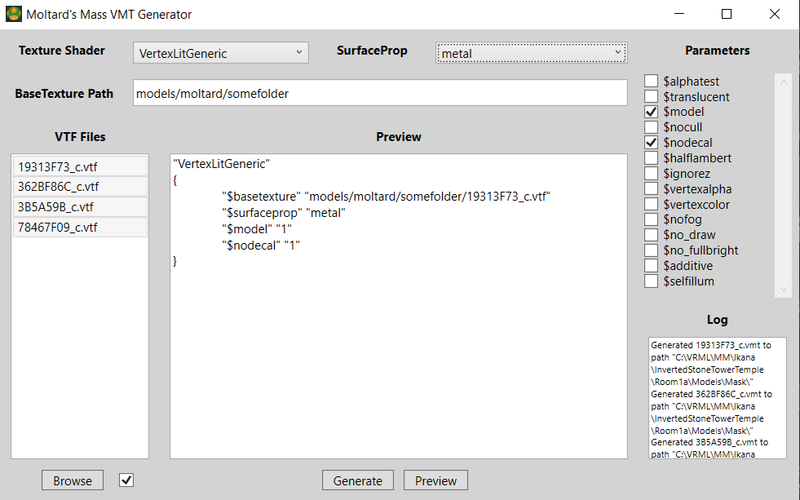 It’s a clean remake of the tool called ‘Pretador’s VMT Generator’ which had few issues starting and had a lot of useless parameters.